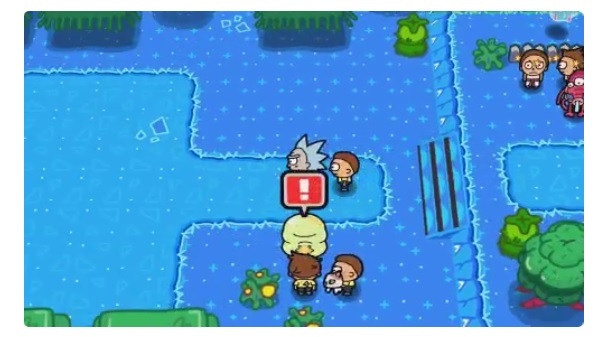 Are YOU Enjoying the ‘Rick & Morty’/’Pokemon’ Mash-Up Game, ‘Pocket Mortys’? Adult Swim recently released Pocket Mortys, a new mobile game (Android and iOS) on January 14, and I was pretty stoked about it when it was teased a couple of weeks ago. Simply put, it’s essentially Pokemon with a Rick and Morty skin — and it’s a free game. In case you’re confused and/or not familiar with the show, universes that contain multiple versions of Morty are a common theme in the show, as Morty’s grandfather Rick travels through space and time. Allons-y…er…uh…WUBALUBADUBDUB!! I’m a relative late-comer to the show, but I’m glad I got to finally got to check it out. I always heard the same thing from most people who are already fans, which was “the first few episodes are kind of boring and strange, but it really picks up.” Well, the truth is that the still stayed strange and weird, but it did get better as time went on. Overall, it feels like the Back to the Future movies with some Doctor Who, Futurama and a generous dash of Rocko’s Modern Life.